Barge Elisabeth in Burgundy. Photo courtesy Barge Elisabeth. 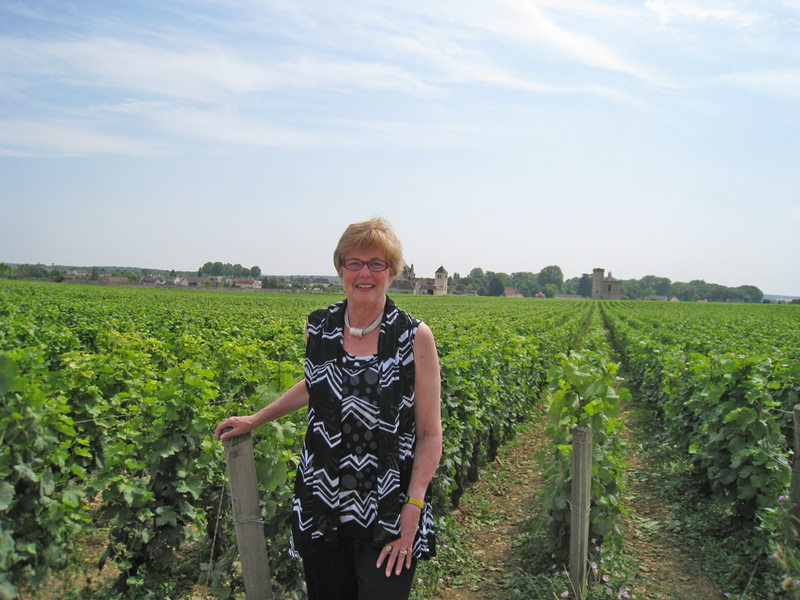 The insider advice on this page is from Wendy’s Trusted Travel Expert for European-canal barge cruises: Ellen Sack of Barge Lady Cruises. Ellen knows the barges and canals of France, England, Holland, Germany, Ireland, Italy, and Scotland down to the smallest details. She’ll level with you about the pros and cons of each itinerary, as well as the crew, cuisine, and sightseeing excursions on offer for each vessel. The warm welcome her travelers receive on board is testament to her long-time personal relationships with all the vessels’ owners. Overseeing her clients’ trips from beginning to end, she also advises on city lodging and train travel. For multigenerational and other large groups, Ellen can arrange a private charter, with activities customized to individual interests. Travel arrangements start at $675 per person per day (based on double occupancy). At $3,750 per person, the eight-passenger Savoir Vivre, cruising in Burgundy’s Cote d’Or, was conceived as an option for travelers more interested in authentic culinary experiences than deluxe amenities: Unique among all barges, the cruise fare includes dinner on shore each night at a different bistro (breakfasts and lunch are delivered by a top local chef and served on board). Daily sightseeing includes a goat cheese tasting and a visit to Dijon’s lively market. The boat’s interior is space-saving and flexible; for instance, the salon converts to an informal dining room in minutes, while the kitchen is open and always available to guests. In Northern Burgundy, the 12-passenger Luciole offers the Family Adventure Cruise, a personalized and private experience for three-generation families. Priced at less than $5,000 per person, this is an excellent value, as the daily programming includes events perfect for passengers of all ages: Kids can enjoy zip-lining, go-karting, and kayaking, while excursions to local markets and working vineyards appeal to adults. The gourmet cuisine includes wine pairings and nightly cheese platters as well as special children’s menus, ensuring that everyone enjoys their family time together at the table. Also included are chauffeured transfers to and from Paris, all onboard food and wine, an open bar, and use of on-board bicycles. 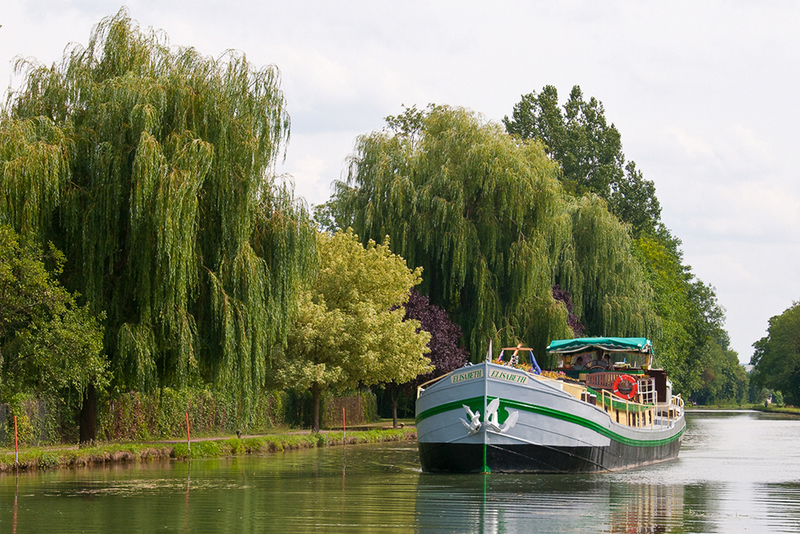 In southwest France, the Family Fun program on the 10-passenger Athos takes multigenerational travelers on a private cruise of the Canal du Midi. Family-friendly adventures include kayaking, horseback riding, swimming in the Mediterranean, helping the chef pick out the best produce at the local market, touring nearby Roman ruins, and lots of cycling along the beautiful towpath. Mealtimes are taken al fresco when the weather permits, and the chef is happy to provide kid-approved fare while serving seasonal delicacies and regional wines to those with a more sophisticated palate. Priced from $4,500 per person, the fare includes all food and wine, an open bar, all excursions and activities, and use of onboard bicycles. The eight-passenger Prosperité in Burgundy’s Cote d’Or has the most spacious accommodations in barging: Its four identical cabins are 270 square feet, complete with king-size beds, a full-sized shower, and a bathtub. The open kitchen encourages casual cooking lessons with the chef, while gourmet French cuisine and top Burgundy vintages are served in the formal dining area. When not socializing on the large deck or lazing in the hot tub, guests can stroll or cycle along the canal’s refurbished towpath. Sightseeing includes guided visits to working vineyards, lively markets, and picture-perfect towns. A top British-French crew of six welcomes our guests so warmly that many return again and again. Round-trip chauffeured transfers from Paris are included in the fare. Rendez-Vous, a six-passenger barge in the Cote d’Or, feels more like a sleek boutique hotel than a traditional barge, with well-appointed cabins, an open chef’s kitchen, and a shaded sundeck. The onboard cuisine combines traditional ingredients with modern cooking techniques, while the wine pairings emphasize the region’s world-famous vintages. Comprehensive sightseeing includes a special cheese tasting, a cycling tour through the Grand Cru vineyards, and lunch at a local bistro. Included in the fare are round-trip chauffeured transfers from Paris. The Luciole in Northern Burgundy has two single-occupancy cabins priced with no single supplement. This barge is perfect for solo travelers who enjoy attentive service, cultural immersion, and meeting other travelers, all in a relaxed environment. Guests socialize over drinks on deck, linger in the cozy salon, or ride bikes along the canal’s towpath. Multi-course dinners are served at one long table, meaning nobody is left out. Every barge in Europe could win this category, as the entire style of travel is focused on locally sourced ingredients, seasonal cuisine, and boutique wines. Depending on the barge’s itinerary, foodies could also enjoy shopping with the chef at local markets, attending informal cooking demonstrations in open kitchens, or enjoying impromptu spirit tastings from the onboard bar. As well, many tastings and samplings are included in the daily activities, with guests sipping small-batch wine at area vineyards, nibbling on bonbons at an artisanal chocolatier, or savoring freshly made cheeses at a fromagier. 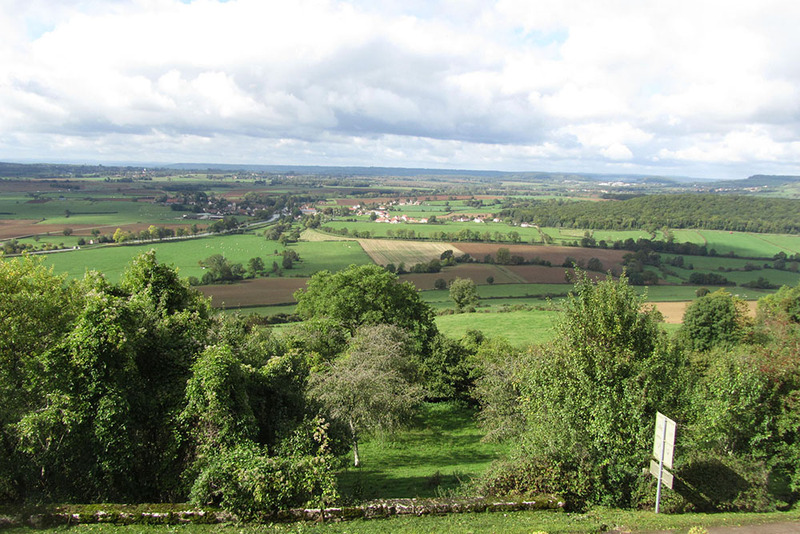 The Côte d’Or route through Southern Burgundy combines some of the most beautiful rural scenery in all of France with guided visits to the region’s many cultural attractions, preserved antiquities, and charming towns. Then there are the region’s great traditions of food and wine. Barge guests can tour Dijon’s vast and colorful Les Halles market, with its array of fresh produce, cheeses, and pastries; sample top vintages from famed wine towns such as Nuits St. Georges, Pommard, Puligny Montrachet, and Volany; sip the locally produced blackcurrent liqueur, Cassis; and of course shop for the area’s iconic mustard. Miles and miles of beautifully refurbished towpath are perfect for long afternoon strolls or leisurely bike rides. For those interested in other European routes, consider joining one of La Nouvelle Etoile‘s fall cruises from Luxembourg through Germany on the Mosel River, a waterway lined with colorful towns and expansive vineyards. Passengers love to bicycle through the grapes or join locals at a beer garden. The fascinating Roman ruins in Trier are another highlight, especially for those interested in the complexities of European history. Gourmet dining is an integral part of the experience, featuring multi-course meals seasoned with herbs grown right on the barge. La Nouvelle Etoile is the only boat in Europe with a computer in every cabin, a dedicated exercise room, and an elevator. The Scottish Highlander immerses its eight passengers in a remote and scenic area along Scotland’s Caledonian Canal. Cruise from loch (a.k.a. “lake”) to loch—including the famous Loch Ness—through spectacular scenery and expansive greenery. The barge’s comfortable décor features the tartan plaids of Scotland, while onboard cuisine reflects the heritage flavors of the region. Sightseeing includes visits to iconic castles and historical battlefields, along with whisky tastings, dinner at a local pub, and an informal “living room” concert. Cycling and walking opportunities are plentiful along the Caledonian Canal’s towpaths and nature trails. Bring your camera to capture the beautiful flora and fauna in this region. Vessels cruising on the idyllic Canal du Midi in France’s Languedoc-Roussillon take passengers to the Cité de Carcassonne, a beautifully restored medieval fortress, encircled by a moat and wall, that was declared a UNESCO World Heritage site in 1997. This is France’s second most visited tourist attraction (after the Eiffel Tower), but barge guides know how to avoid the inevitable crowds. European-canal barge cruises are offered from mid-April through October. The first two weeks of October are my favorite: the weather is best (not too hot, not too cool); the crowds are gone; and in France, fall brings the wine harvest. Prices in the off-peak times of April, July, August, and late October can be considerably less. During the summer, many barges offer specialized family programs. Several barges visit the Netherlands in April and May for “tulip time,” where guests visit the world-famous Keukenhof gardens to see Holland’s iconic flowers in bloom. It all depends on the needs of potential guests. For instance, someone very sensitive to heat won’t want to go in July or August; April can be rainy, though lower prices can offset that risk for people on a tighter budget. Expecting to cover as much ground as you would on a river cruise. A river cruise floats over hundreds of miles and into several countries; in contrast, canal cruising focuses on a relaxed exploration of a small area deep within Europe’s rural countryside. Barge cruises are six nights long, beginning either on Saturday or Sunday, and each cruise covers about 30 to 50 miles. Barges never travel at night, and with a cruising pace of four miles per hour, you can walk faster than the barge moves! In France: the immaculately preserved Musée de l’Hôtel Dieu in Beaune (also known as Hospice de Beaune). This is a charity hospital built by a wealthy donor in the fifteenth century, and amazingly, was in use until the early nineteenth century. It’s famous for the exquisite roof of colored Burgundian tiles. Inside, the details of life and death in medieval times unfold in such fully realized spaces as the ward, the kitchen, the pharmacy, and the Gothic-style chapel. Also on site is the exquisite Last Judgment altarpiece by Rogier van der Weyden. Beaune is the wine capital of Burgundy, with millions of bottles stored under its cobblestone streets. There is always time to browse in the pedestrian shopping zone or have a coffee in the square. In England: Highclere Castle, the 500-acre estate where Downton Abbey is filmed, can be toured on selected sailings of the Magna Carta, which cruises the River Thames. Guests spend the morning at the castle, exploring the Victorian mansion’s ground-floor rooms and walking in the gardens. A must for devotees of the show. In Ireland: The ruins at Clonmacnoise, a sixth-century monastery founded by St. Ciaran on the eastern shore of the Shannon Waterway in Ireland. Though most visitors approach by car, the ten-passenger Shannon Princess moors right at Clonmacnoise, allowing guests to walk into the site, just as visitors might have all those centuries ago. Clonmacnoise was a crossroads for communication, religious learning, trade, and politics, its power represented today by the ruins of early cathedrals, high crosses, and a large collection of early Christian graves. On the Canal de Bourgogne in Côte d’Or Burgundy, many barges moor right under the hilltop town of Chateauneuf-en-Auxois. Its fifteenth-century fortress château, perched high over the canal, is one of the most dramatic sights on this bucolic waterway. A visit to this village often follows, with a private tour of the castle, followed by stops at little craft shops along the sloping streets.